German Village Meeting Haus is having a workshop that will teach artists how to photograph their works for a professional portfolio. Information and payment form down below! 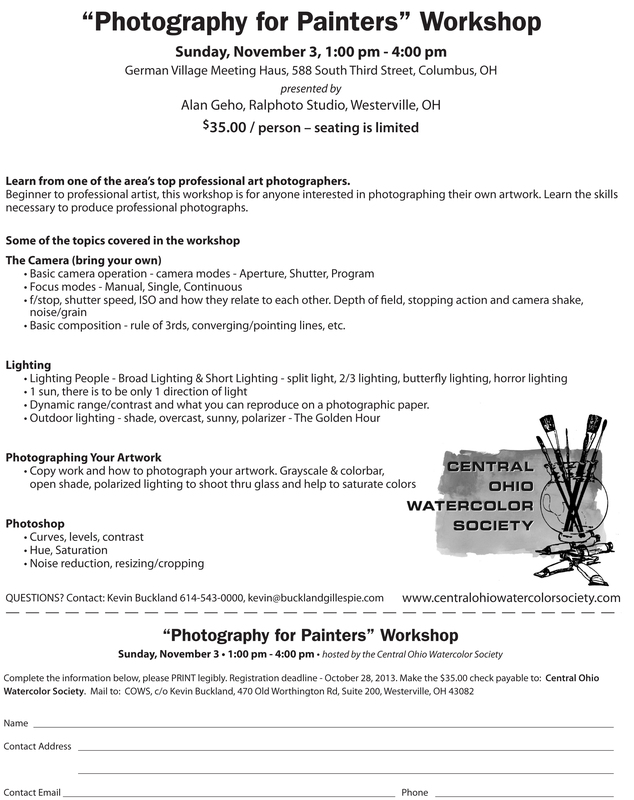 Presented by Alan Geho, this is a wonderful opportunity. Seeking artists and designers to support a great cause! 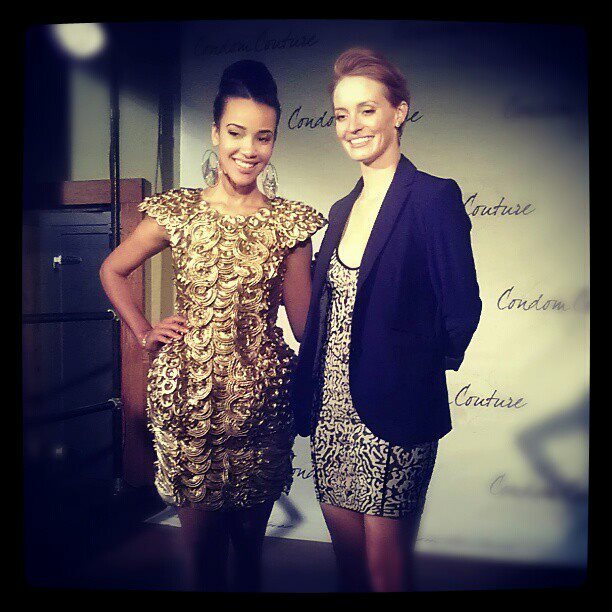 Planned Parenthood of Greater Ohio’s annual fashion show fundraiser Condom Couture is coming up on October 23, 2013. We’re seeking talented and creative artists and designers to create wearable accessories or small artworks out of condoms for Planned Parenthood to sell the night of the event. The proceeds will raise additional funds to help support education and essential health services for women and men throughout Ohio. Each interested designer will receive up to 50 condoms (varied colors, all non-lubricated) to create or decorate their accessories. Any type of accessory is encouraged–cuffs, fascinators, broaches are just a few we’ve thought of but we know you probably have other great ideas. For your contribution you will receive one SRO ticket to the show on Oct. 23 ($50 value), your name in the event program and on screen during the pre-event slide show. There are a limited number of opportunities to participate so please respond to Esther Hall at ehall@oal.org by September 27 with your contact information and any other questions you might have. 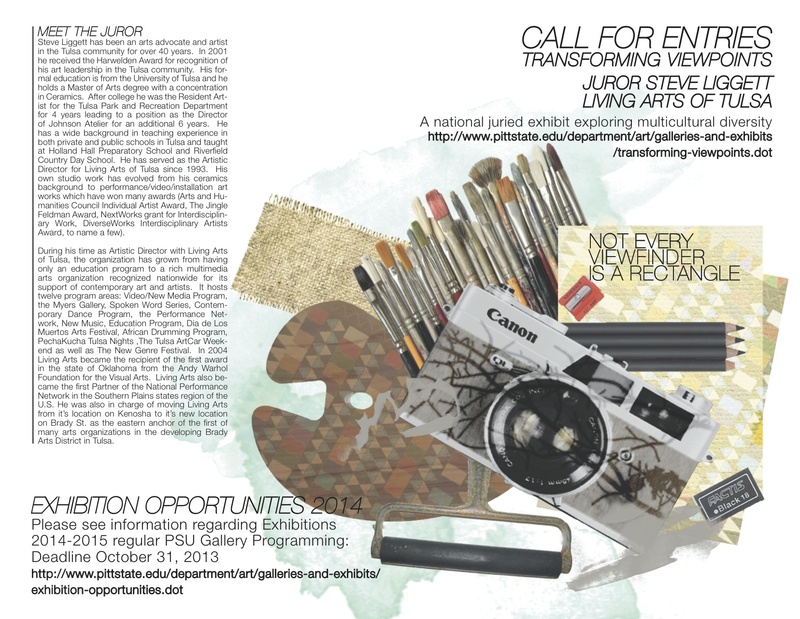 This opportunity is limited to 20 artists. 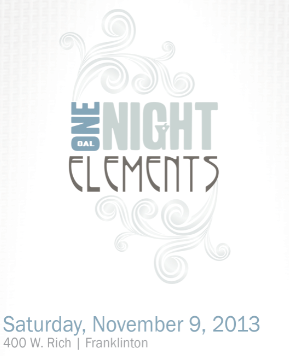 One Night Submissions for Artwork Are Open! CAC’s October Exhibit is eye-opening, envelope-pushing, awe inspiring Art! Contemporary Art from Ohio’s finest artists, including our Special Invited Artists — Aminah Robinson, Todd Slaughter, Tim Rietenbach, Sue Cavanaugh, Andrea Myers, and Malcolm Cochran. An evening of fine Artists, fine Art, and fine food. The company will be glittering, the conversations witty and the Art simply stunning. Are you a Young Professional looking to launch your art collection? 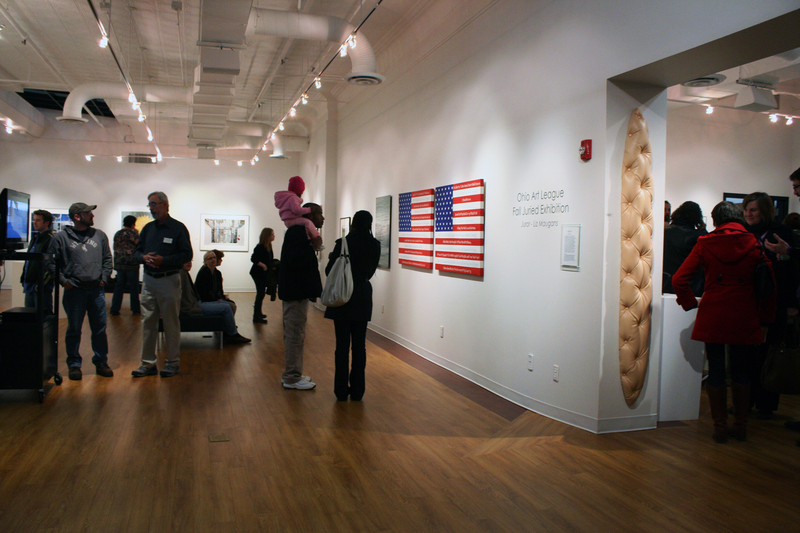 Spend an evening at the Cultural Arts Center with Columbus’ top gallery owners while enjoying tasty food and drinks and becoming acquainted with the finer points of collecting Art. Art, dance, and poetry coalesce in an eclectic response to the 1913 Armory Show and the works displayed in CAC’s “You Call That Art?.” Featuring Como Dance Company (Columbus Modern Dance Company) and the Ekphrastic stylings of popular Columbus poets under the direction of Steve Abbott. 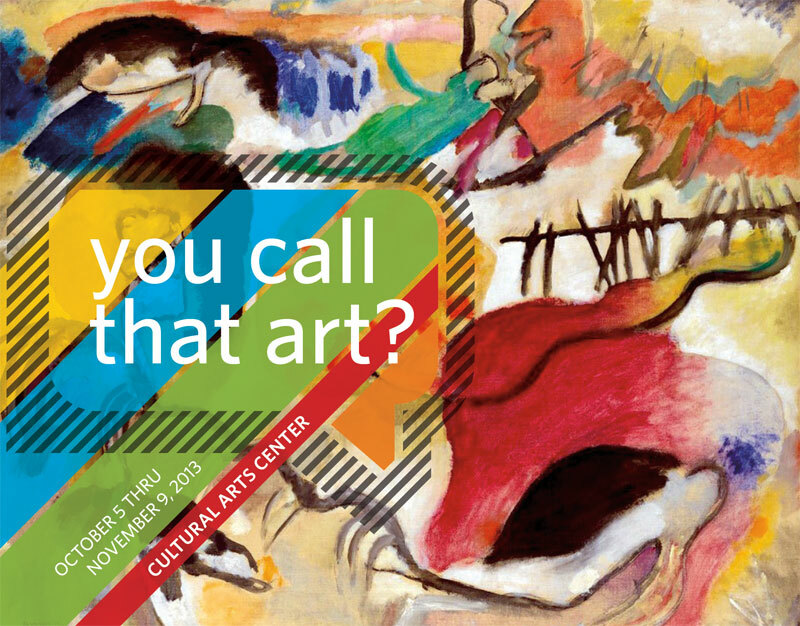 Spend an evening with “You Call That Art?” Juror Tyler Cann, Curator of Contemporary Art at the Columbus Museum of Art, and Melissa Wolfe, CMA Curator of America Art, as they discuss and lend chronology to the significance of the International Exhibition of Modern Art of 1913. Join us tomorrow with Ruby Harper, Grants & Services Director, at GCAC to learn all about the “Artists in the Community” grant and service program! RSVP to attend this event to rharper@gcac.org or 614-221-8406. This workshop is for all artists in the community to gain knowledge about grants for individuals, how to prepare and write grants, and other opportunities for artists. A great way to meet other artists and become more aware of whats out there! The Big Give is going on NOW! Donate to OAL till 11AM tomorrow morning, and the donation will be supplemented by the Columbus Foundation. The Ohio Art League provides exhibition and professional development opportunities to artists and enriches the community through art. We do this by having our annual Juried Fall and Spring Exhibitions at different galleries throughout the state. Our new Student Juried Exhibition to give students an opportunity to take part in the process and learn the process of applications for our more professional based exhibitions. We also provide workshops and community art critiques known as Art INFOrmal open to the public to encourage conversation and growth. Our gallery is located in the South Campus Gateway a stones toss from other great galleries such as the Wexner Center for the Arts and Roy G Biv. We are unique in that only members can show in our gallery by participating in the Member Curated Exhibitions. Member Curated Exhibitions are where one member serves are curator for another member or group of members. They give a proposal for the general membership during a set meeting and at that meeting are voted for spaces to exhibit in the upcoming year. With your help and support Ohio Art League has proven to be a successful non-profit organization for over 100 years. Help us continue to make history with your donation during The BIG GIVE! 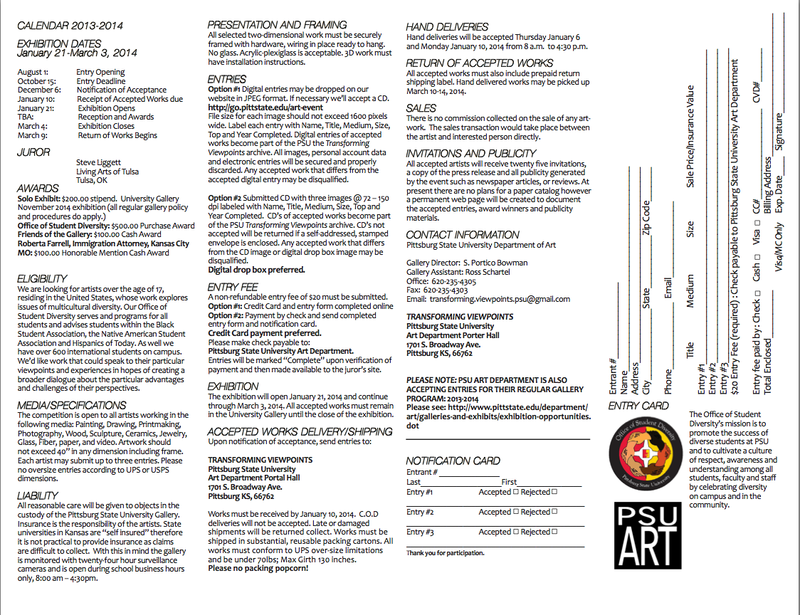 Pitt State University is accepting submissions for a national juried exhibition with Steve Liggett as juror. The exhibition is working to explore multicultural diversity and this is a great opportunity to support with the Office of Diversity at Pitt State, which is providing the exhibition with a $500 prize. The entry deadline is October 15, and prizes range from $100-$500 dollars. Member Artist Judy Takacs will befeatured in two shows this fall in Zanesville and Berea Ohio. Make a weekend trip and come out to experience the 69th Ohio Annual and 52 Weeks/ 52 Works juried exhibitions. Details for each exhibition below! Ohio Art League member artist Judy Takacs Pendergast will an artwork on display at Baldwin Wallace College, Fawick Gallery in the Kleist Center for Art and Drama. Her work “Contemplating Angels” will be appearing in this show. The works in the show ‘52 Weeks/52 Works‘ are from the artists whose art has been juried into the prestigious 52 Weeks/ 52 Works calendar produced yearly by AIG Graphics, and it is a wonderful opportunity to see the calendar come to life on the walls of this hidden gallery close to Cleveland. Show runs through September 27, gallery hours are : Monday-Friday 2:00- 5:00 pm or by appointment 440 826-2152 . Opening Reception Saturday September 14th from 2:00-4:00 pm. Judy’s work “Judge, Jury and Executioner” will be on display for the juried exhibition 69th Ohio Annual. The show runs through November 16th. Gallery hours are Wednesday- Saturday 10:00am- 5:00pm with late hours on Thursday until 7:30pm. Admission prices are as follows: Adult $6. Seniors $4. Children, members and reciprocal members are FREE. 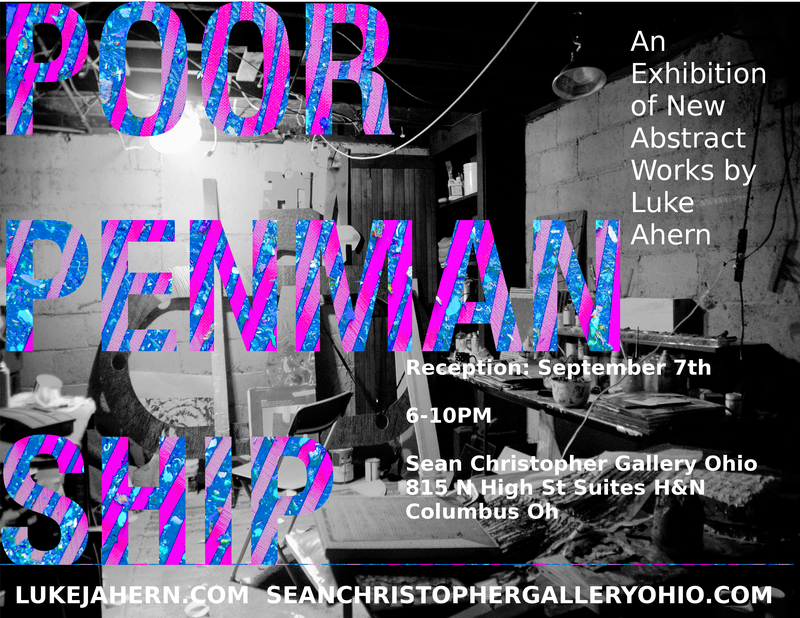 Visit our member Luke Ahern’s new exhibition during your Gallery Hop adventures!